ulie and Travis are a sweet couple that met me out at one of my favorite remote Indy spots for some photos out on the pond. These two love the water so out on the dock seemed like a perfect focal point for their engagement session earlier this week! 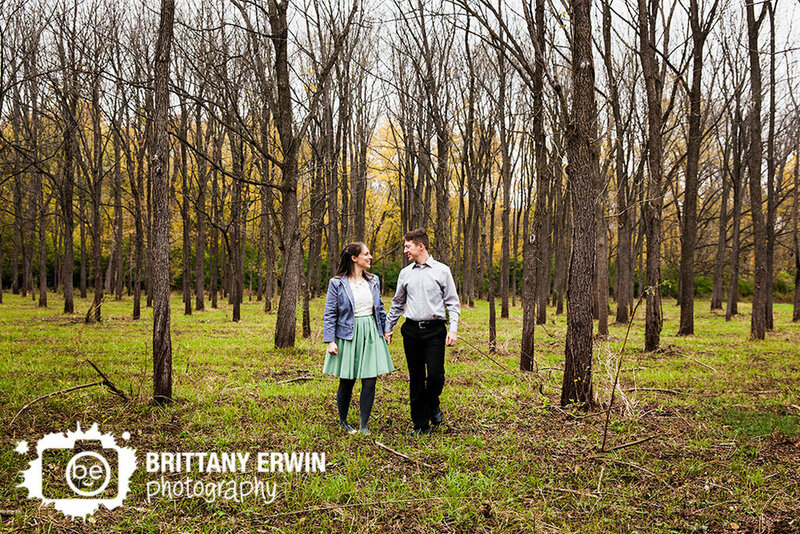 Ashley and Frank are a fun donut-loving, fun-having, easy-going, all-around-amazing couple. We had so much fun walking around Fountain Square finding some hidden gems around the hip town. Caitlin and Dustin met down in Bloomington at Indiana University and Dustin even proposed right on campus so it was only fitting that we do their engagement session down at the campus where it all started. When I heard that these two love birds worked for the forest service, I thought we HAD to do an adventure engagement session. Bonus points for Danielle loving the snow and Bryan humoring her(and me). This year we have had the pleasure of photographing a lot of really wonderful couples. I've compiled a selection of some of my very favorite portraits from our engagement, anniversary and proposal sessions this year. It was HARD to narrow it down to 15 but here they are! Lauren and Josh are getting married today! They are getting married out at a venue I have shockingly never photographed at before(with the exception of their engagement session) so I am very excited for their big day. These two amazing people are getting married today! In honor of Heather and Nick's big wedding day today, I thought we would share their engagement portraits here on the blog! We had so much fun at their engagement session and I know today is going to be amazing! When I first heard that Lauren and Kyle were having a Beauty and the Beast themed wedding, I was beyond excited. I, myself, am a HUGE Beauty and the Beast fan. I actually wore the Belle dress for my own wedding. <3 Lauren and Kyle actually got engaged out at Disney and brought along some of their awesome Disney World swag including Mickey Mouse ears and the pins they got there after Kyle proposed. I met Jordan and Joseph at the Indy VegFest last spring where we covered the event and had a booth. When I met them, I instantly knew they were going to be a ton of fun. For their engagement session, we started out at their home with their pup Charlie right on their front porch.